Yarn available in our Etsy shop here. 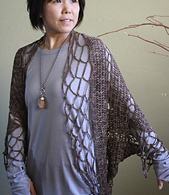 Yumiko Alexander has worked her magic once again. Using one skein of our raw silk yarn, Quail, she has designed this lovely crocheted shrug. 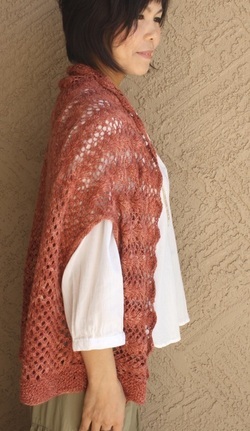 A beautiful, lacy, open-stitch pattern with cables creates this rectangular shawl. 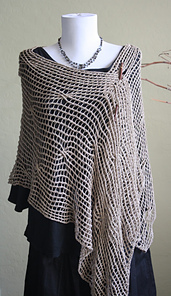 Wear it as a shawl for a dressy occasion or wrapped around the neck as a long casual scarf. 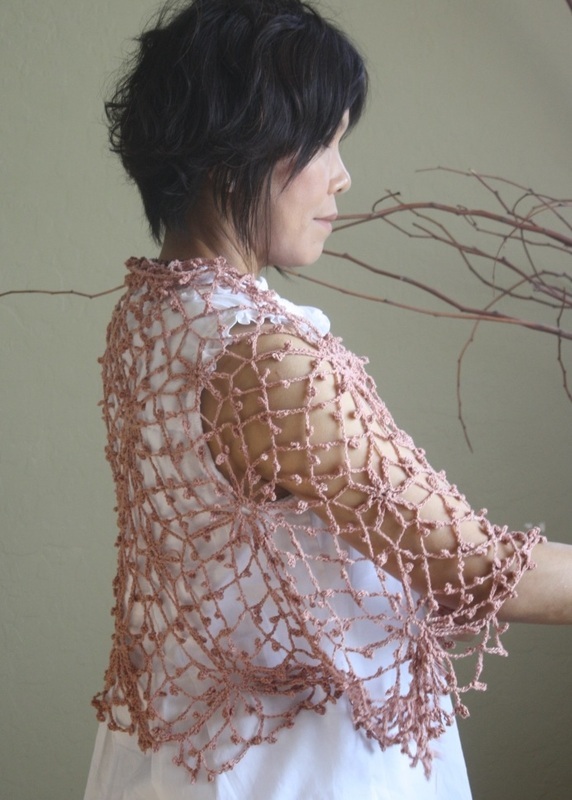 Subscribe for updates from Mary Gavan Yarns!